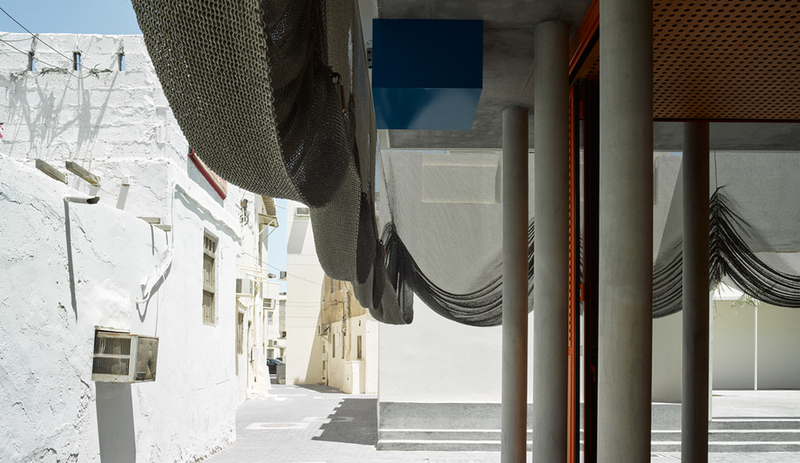 On the island nation of Bahrain, OFFICE Kersten Geers David Van Severen shrouds the Bahrain Centres for Traditional Music with a shimmering metal curtain, providing glimpses at the performances within. In Azure‘s October 2018 issue, we identified the trends that will shape the year to come. One of those trends is the increasing fluidity of metal mesh: once considered rigid, it’s now being reimagined as a material that can be draped, sculpted and wrapped. 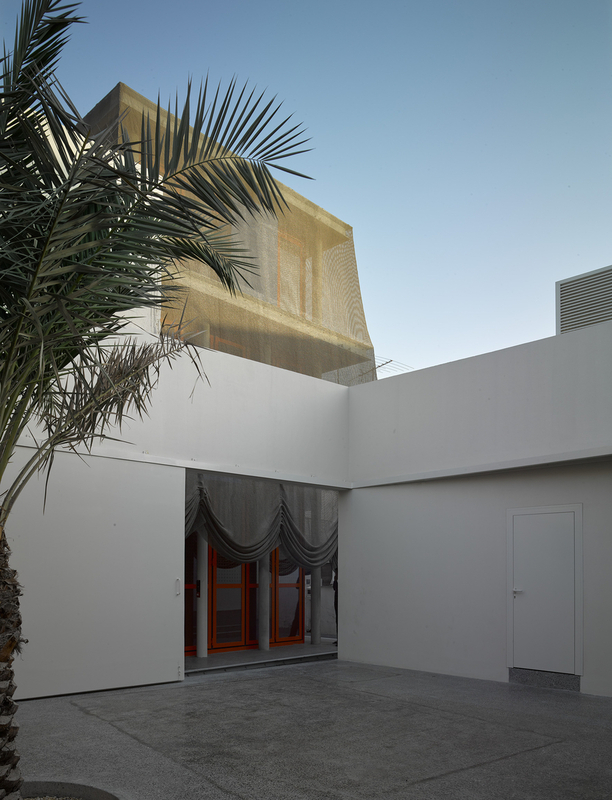 And a perfect example of metal mesh’s newfound flexibility can be found on the Bahrain Centres for Traditional Music, on Muharraq Island. Designed by OFFICE Kersten Geers David Van Severen, a Belgian practise known for its unconventional architecture, with assistance from local firm Emaar Engineering, the 600-square-metre urban renewal project actually combines two buildings: the Dar Al Jinaa and the still-being-constructed Dar Al Riffa. The firm was tasked with renovating the existing Dars – or houses – while adding communal spaces called Majlis. These spaces will be used to celebrate the region’s pearl fishers – and their cultural and musical traditions. Performances happen, quite naturally, in the Majlis. 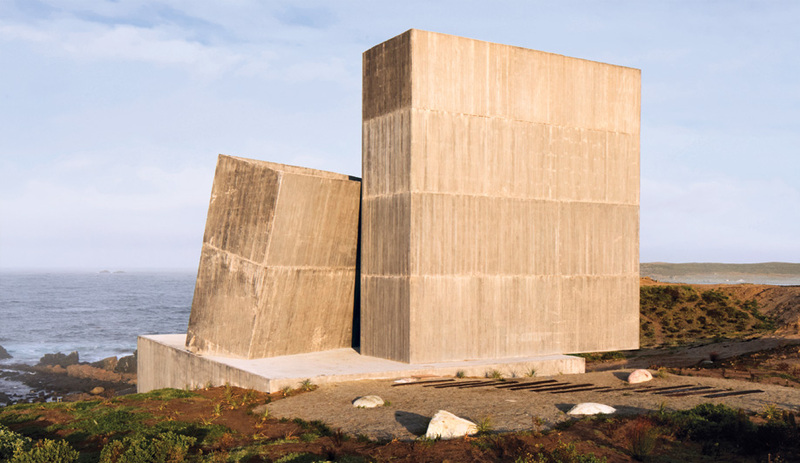 The buildings themselves are handsome, yet geared towards utility: both Dars are defined by round concrete columns and platforms. 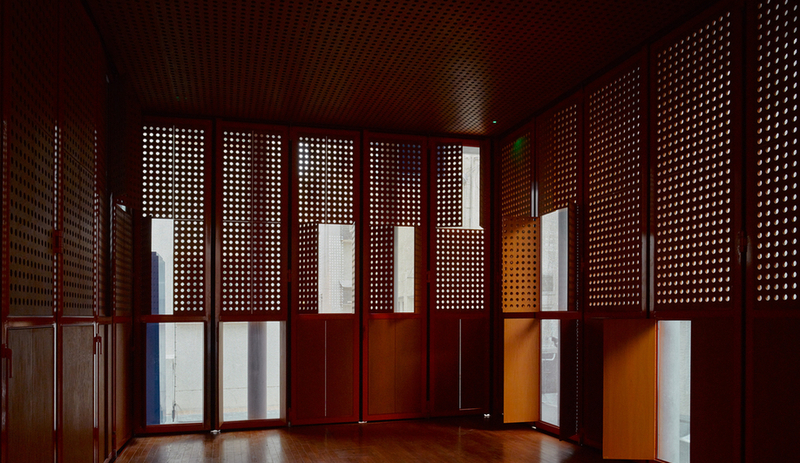 Glass facades with perforated wooden shutters (above) simultaneously provide intimate interiors and respite from the sun – the island nation, which sits in the Persian Gulf, has a desert climate. 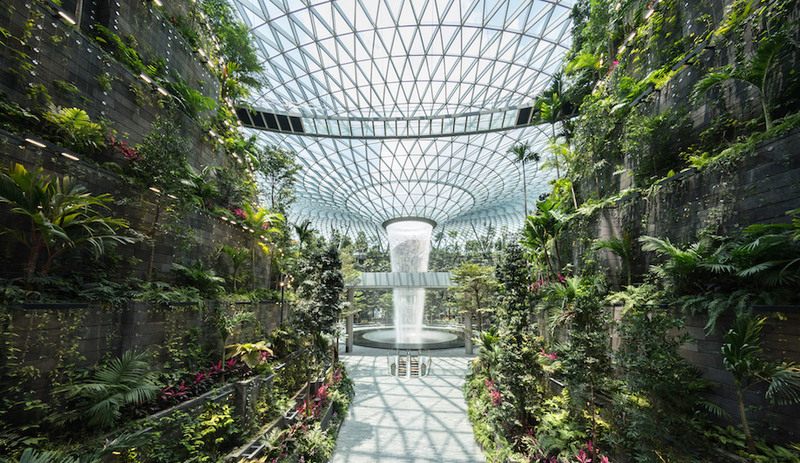 But the standout feature – and one we expect to find in more buildings worldwide – is the creative use of seamless steel mesh. The function of the metal drape, as we noted in our Trend Report, is equal part physical and programmatic. 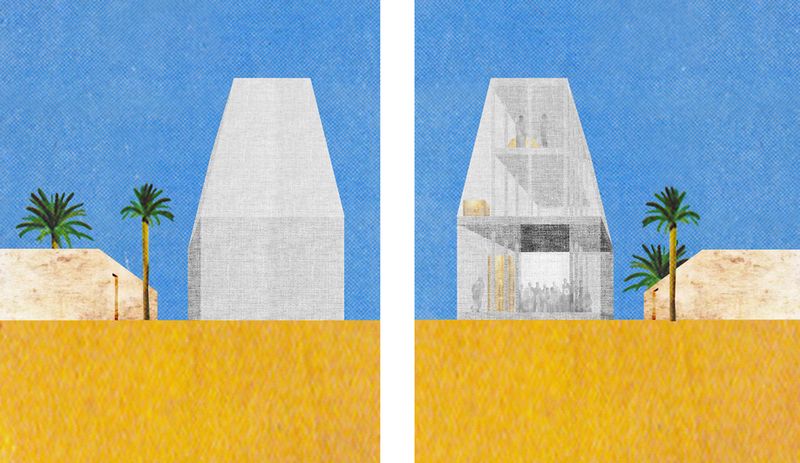 Like the building’s perforated shutters, when draped over windows, the veil provides shade from the Middle Eastern sun. 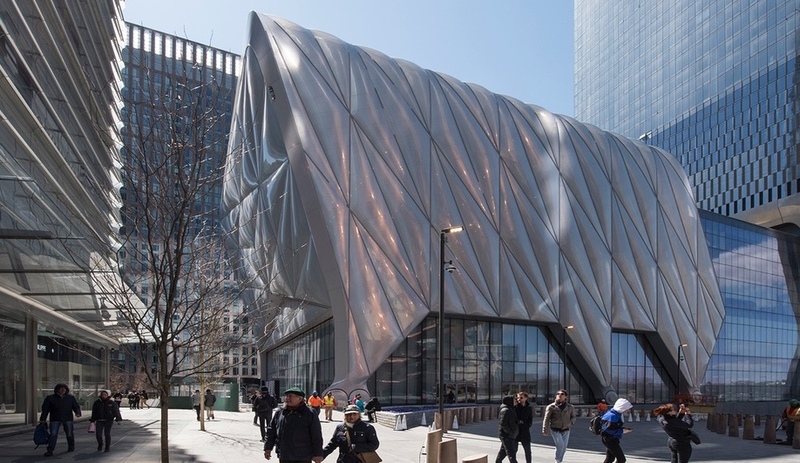 But when it’s raised – and when it is, it folds beautifully, not unlike traditional textile – it allows passersby to peer into the building, offering a peek at the performances within. 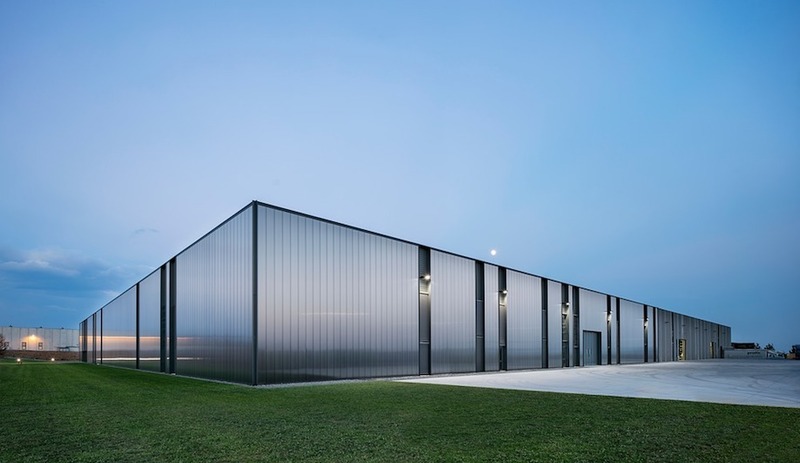 It’s an inventive, and indeed project-defining, use of metal mesh. For more creative uses of the material – including its usage as a ceiling veil and fabric for outdoor seating – pick up Azure’s trends issue right here.